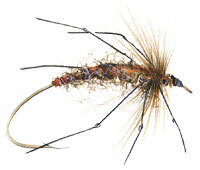 When you head out on the water and you want to try something a little different to keep the fish biting, you should consider the crane fly. These insects are fairly common throughout the northern hemisphere, and just about every where you find them, people use them to catch fish! They are fairly slender flying insects, and they can range from about 2 millimeters up to 60, though some tropical specimens will be almost twice that. There is some confusion with the name when you go to look it up online. 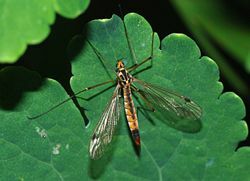 In the United Kingdom and Canada, the crane fly is known as a daddy long legs, which is odd for Americans and Australians, who think of a daddy long legs as a kind of spider. 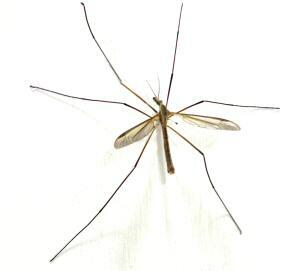 They are also known as mosquito eaters, mosquito hawks, gollywhoppers, gallinippers and jimmy spinners. (terms are used interchangeably throughout this article to keep you on track) Just keep in mind that no matter what you call them, you still use them to bait your hook and bring home the fish! With more than 14,000 species to choose from, there is probably at lease one variety no matter where you go fishing! These insects don’t eat cranes nor do they bite humans. You will find, though, that their larvae do bite the ____ out of mosquito larvae, so if you find them in your local pond, let them be! Another interesting fact about them is that they spend the majority of their lives as nymphs; their adult life is fairly limited. Adult gallinippers drink only nectar, if and when they eat at all; many species only become adults to mate and then die. Mosquito hawk larvae are typically called leatherback bugs or leatherjacket slugs; they can damage plants in some areas and they prefer moist environments when they are not altogether aquatic. 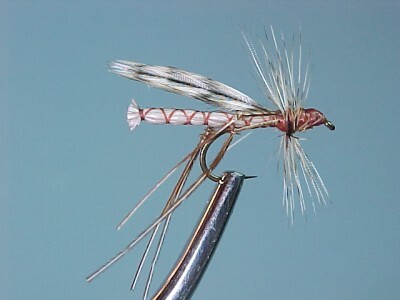 They are quite tasty to birds and fish and if you are looking for a good lure, a crane “fly” might be a great bet. They are common in many areas, but if you can’t to find them by yourself, someone else may be very willing to sell them to you. When you’re looking for a way to bait your hook and get the fish biting, take a look at what a gollywopper or a leatherback nymph fly” can do for you!